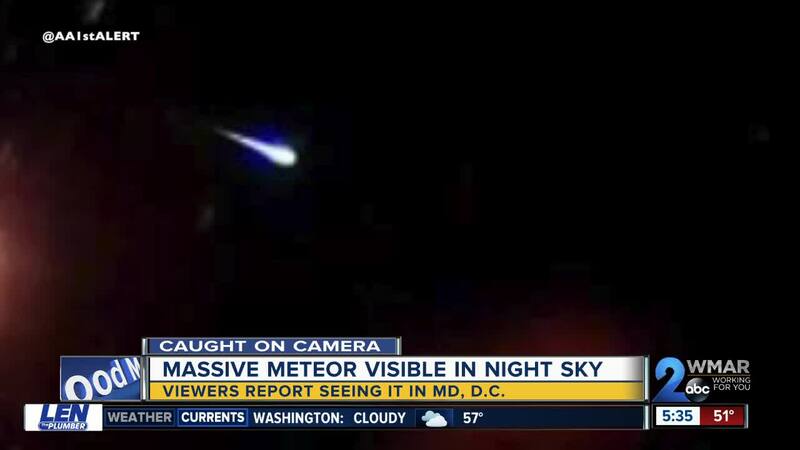 BALTIMORE — People all over Maryland reported seeing a massive meteor falling from the sky Tuesday night. Many said they saw it in places like Howard County, Anne Arundel County and Washington, D.C.
People even reported seeing it as far south as the Carolinas and as far north as Cape May, New Jersey. According to NASA, a meteor is a rock from space that begins to glow like an ember as the rock burns up from friction with the earth's atmosphere. It's still unclear if the meteor hit the ground or broke up mid-air.